There's just some things you can pair together and bake that turn out magnificent! Chicken and bacon are one of them! 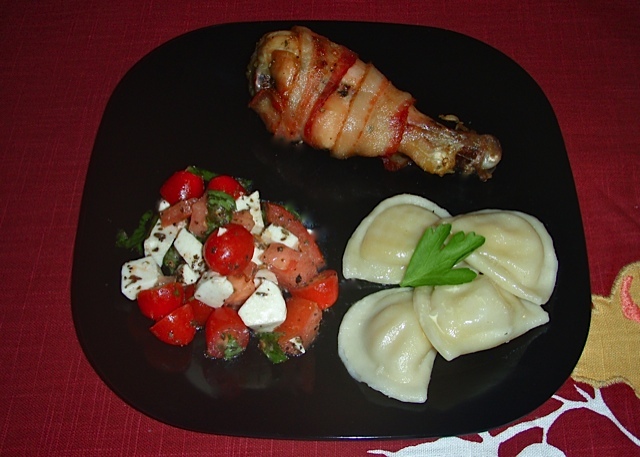 This simple and flavorful recipe with seasoned chicken legs, wrapped with a piece of bacon, and baked to perfection make this recipe one to add to your list of favorites. Add all seasonings to a bowl and mix well. Sprinkle chicken legs with the seasoning mixture. Wrap each leg with a strip of bacon and place in a glass baking dish. Bake at 350 degrees for 1 hour and 15 minutes. Broil for 2 or 3 minutes to give the bacon a nice golden color. Serve with your favorite side dish and enjoy! If you'd like a printer-friendly version of this recipe, Click Here.